A month ago, it was a no-brainer for the Dallas Cowboys. 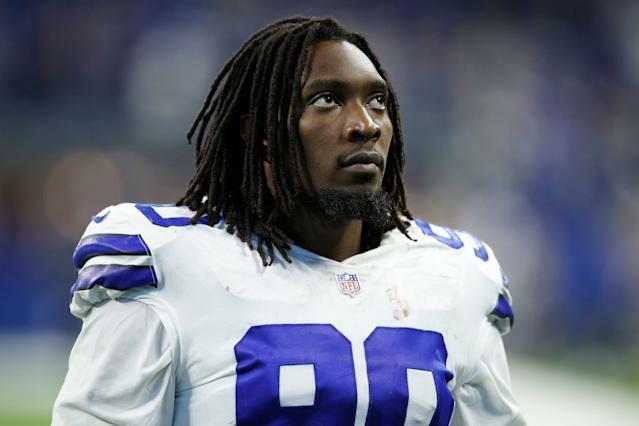 DeMarcus Lawrence was the spine of the defense, an undeniable “program guy” with two seasons of top level pass-rush production and a desire to spend his prime years playing for the only franchise he has ever known. All that stood in the way was ownership surrendering a unicorn contract on its best defensive player before March 5. Would it be expensive? Certainly. But that’s the risk Dallas took a year ago, pushing negotiations beyond the expected contract extensions of Aaron Donald and Khalil Mack. When teams wait to extend top-shelf talent in the NFL, the market around that player inevitably goes up. It’s what happened to Dallas with Lawrence, who could have been had more cheaply last offseason – before the Donald and Mack deals raised the salary floor for top defensive players. Instead, the Cowboys waited and cornered themselves into an offseason when there’s apparently not enough extension money to go around. In turn, Lawrence is now angry and insulted. 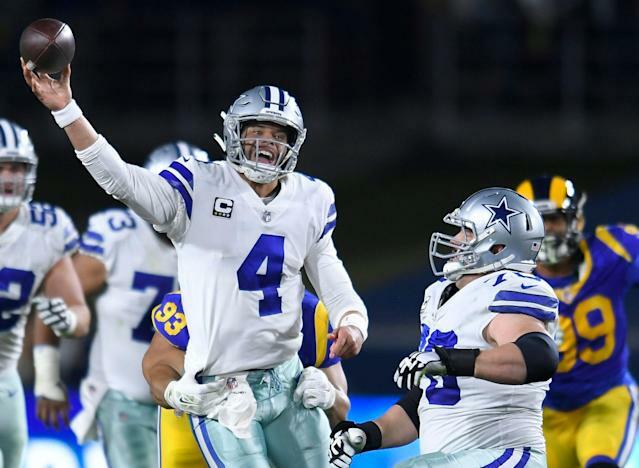 Largely because Dallas started extension negotiations with a lower than expected opening offer that sent the message he was going to be headed for another franchise tag. That tag came this week. And the “no-brainer” move of the offseason officially entered “no brains” territory. Harsh? Maybe. The Cowboys made a succession of eyes-wide-shut decisions that have put them into an adversarial position against a player that is the epitome of what they supposedly want for the team’s culture. Randy Gregory? The Cowboys know he isn’t remotely reliable. David Irving? Has he even proven that he likes playing football? For two years, the franchise has kept both players in the fold, bending over backward in hopes they would get themselves together and make good on their considerable talents. All the while, Lawrence spent 2017 and 2018 refining himself into one of the top edge rushers in the NFL, while also earning his way into the leadership ranks of the team. That is the guy a team bends over backward for. That is the guy a team is happy to pay. Not just because he’s the club’s best edge rusher and makes others around him better, but because he’s a pillar that a front office can continue to build around for the next five years. Unlike so many other unreliable players Dallas has paid in the past, Lawrence is one who actually helps create the Super Bowl window … not just take advantage of it. This is something the Cowboys should have considered last offseason, when they knew it was likely going to have to address Dak Prescott’s contract and knew that Ezekiel Elliott would be looking for a big, fat raise. It’s also something the franchise should have considered when it acquired Amari Cooper and almost instantly started talking about a potential extension for him – before he’d even proven he deserved one down the stretch. This all is likely going through Lawrence’s mind right now. The team can’t say enough good things about Prescott. It’s already acknowledging that it’s going to basically back up the Brinks truck for Elliott. And it’s in love with the idea of getting Cooper extended. But Lawrence? Well hey, Dallas wants to eventually get his deal done, too. But it’s more than happy to use another franchise tag until it feels like the numbers suit the team. Meanwhile, Lawrence is more than likely going to sit out the entire offseason program and even delay his shoulder surgery until a deal gets done. And the longer that surgery gets delayed, the longer Lawrence's recovery eats into the months that follow. It isn’t the kind of thing Dallas’ defense can afford when so many other pass rush specialists are getting popped with indefinite league suspensions. Of course, this is how negotiation works. Lawrence wouldn’t be the first or last NFL player to be irritated by a second franchise tag, only to end up signing a long-term deal and ultimately finding happiness while burying the hatchet at a later date. That could be what happens here. But make no mistake, Dallas is gambling now. First it waited to get a deal done and watched the market go up. Then it came out of the gate in negotiations with an initial offer that rubbed Lawrence’s camp the wrong way. And now it has applied a tag that will keep Lawrence in place while he watches some lesser edge rushers get overpaid in free agency. Perhaps more hurtful, he could see some fellow Cowboys get paid their big extensions, too. That’s not a succession of events that makes a relationship better. If anything, it plants seeds of bitterness that can linger or potentially grow into something that destroys any chance of a future deal. Just like it did with the Oakland Raiders and Mack in 2017 – when the team could have economically added years to his existing rookie deal but chose to push off negotiations into 2018. Or the Pittsburgh Steelers and Le’Veon Bell, who essentially tried to get an extension from the Steelers for three straight offseason with no success. Those are deals that Cowboys fans should keep in mind. Because they were “kick the can down the road” moments that ultimately destroyed very good relationships. There was a time when guys like Mack and Bell were precisely the elite “program” guys that their teams should have been overjoyed to extend. Instead, the franchises waited and the market continued to go up. This is how no-brainers become mind-numbers. It’s how relationships go bad. And it’s how you end up being stuck with dysfunctional locker room environments where people are wondering why some valued stars easily secure long-term commitments and other culture-defining guys don’t. That’s a question Lawrence is asking himself now. And the Cowboys have yet to provide an answer.